Renovating the home you own rather than buying the house you may not be able to afford is an attractive option right now. But it’s not without its pitfalls … as Brendon found out. 1. People who own property feel richer ... because their house is worth more. So, what do we do when we already own a house but we don’t want to upgrade? This can be a good option. Why not get your house into a state you are happy with and actually get to enjoy it—much better than just getting it there a week before you sell it and move out? Of course, the downside is the mortgage gets bigger rather than smaller over time. I found myself in this situation this year and now have two new bathrooms, new carpet, paint and curtains. Yee ha! 1. Do your figures. Then double them. 2. Estimate the time frame. And then double it ... at least. 3. Remember all those extra things you might like to get your builder to do. Bigger cavity sliders, recessed shelving in the shower to put your shampoo in, extra lights—it all costs more money and can blow budgets (see 1 and 2). 4. When I did my figures, I asked myself, "How much can I get a toilet for? $500?”. Somehow I decided to buy the $1200 one. And, yes, we do need a black flush plate thing to match the black taps (see 1). 5. Tradies are busy right now and in to the foreseeable future (see 1 and 2). 6. If you are going to stay put for 10 years, design the house how you want to live in. For example, don't put a bath in just because it will “add to resale value” if you or your family aren't “bath” people. 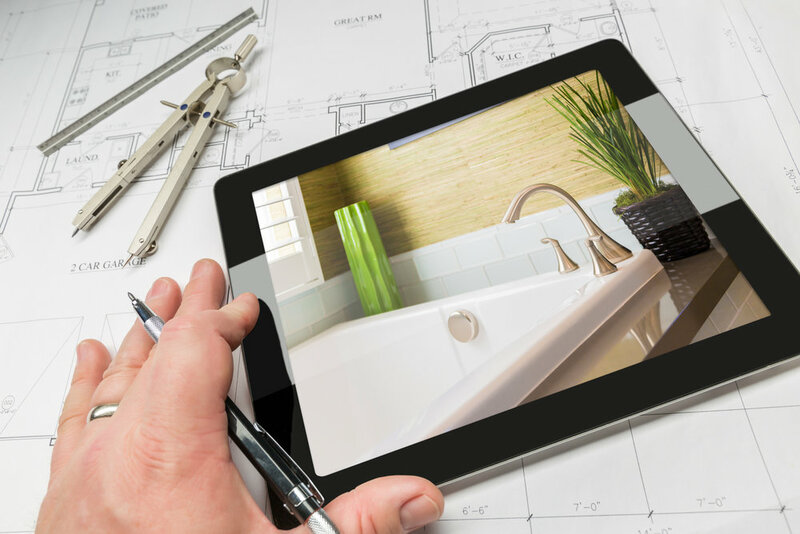 In 10 years, your bathroom will be tired and may need another make over anyway. Several lessons learnt, but loving the new bathroom and its colour coordination!